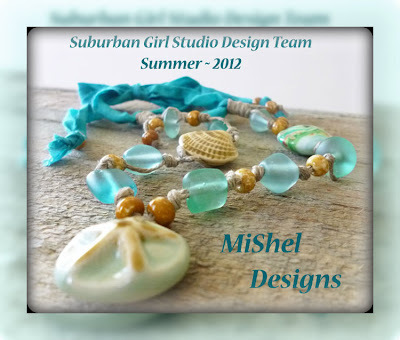 MiShel Designs: Suburban Girl Studio Design Team - Summer Reveal! 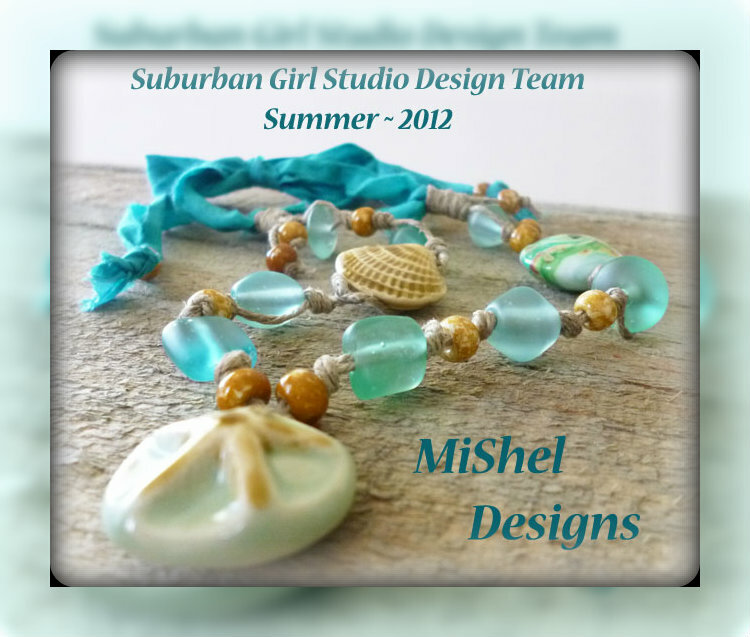 Suburban Girl Studio Design Team - Summer Reveal! Wow - Summer! Can you believe it? Where's the time gone? 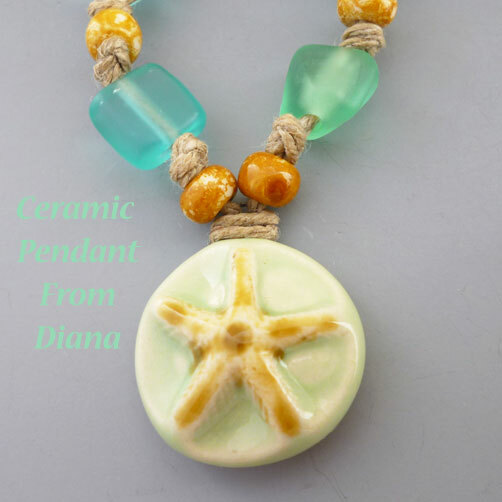 Diana sent me this very cool Starfish Pendant - beautiful! 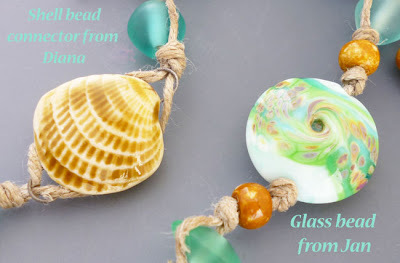 And this amazing shell bead connector - super sweet! And then she included one of Jan Opinenco's beads, too - oh my!! It looks like a summer swirl of sea, sand and surf goodness, doesn't it?!! 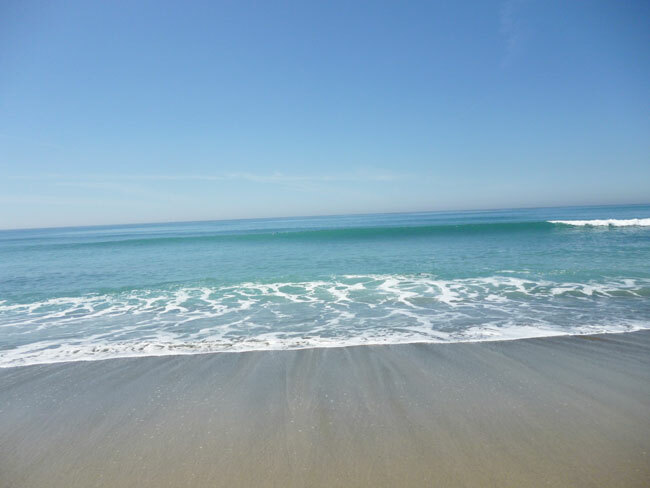 Okay, so when I think of summer I think of the Beach. 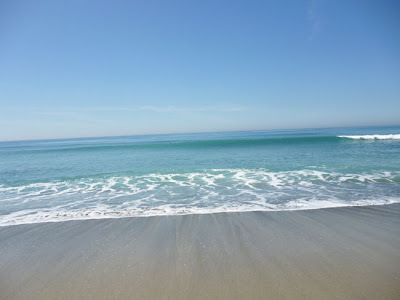 When I think of the Beach I think of the ocean and the lovely blue and green colors of the water. 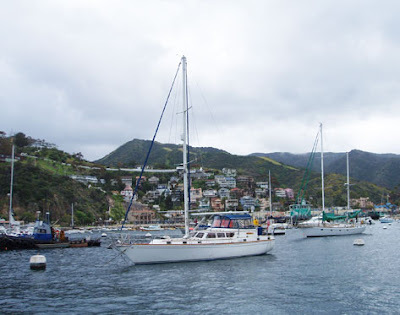 Then, I start to think of sail boats. One thing I love about sailboats and all things nautical are the knots that tie everything together. So, for my design I decided to use some natural waxed linen cord from White Clover Kiln over on Etsy because it looked like the old ropes used on the docks and to tie up sailboats. Then, I knotted some immitation sea glass together with some sea-foam colored Recycled Sari Silk from Darn Good Yarn. The beads reminded me of all the sea glass you can find on the beach and the silk reminded me of the sails and how they move and take shape in the wind. This design is definitely going into my personal stash because it's something I will wear over and over this summer - and any time I go to the beach!! 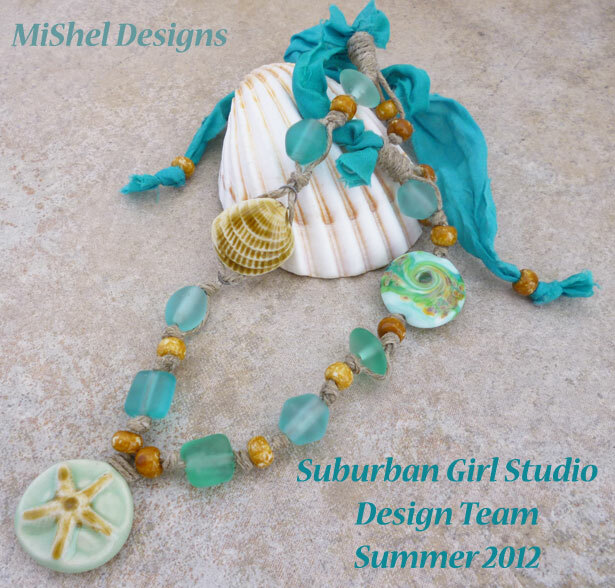 I big thank you to Diana of Suburban Girl Studio for allowing me the opportunity to be on her Design Team and to showcase her lovely, handcrafted ceramic beads and findings. They're totally amazing and you really will love them - so go check 'em out! 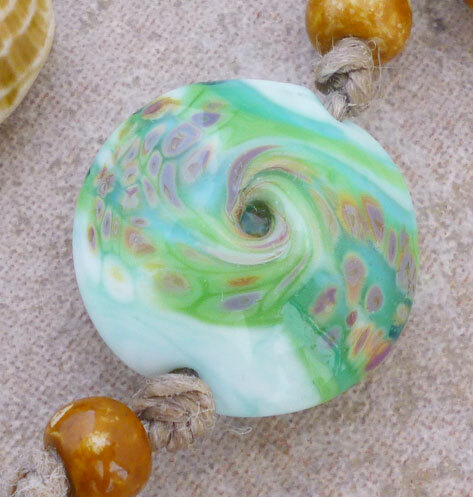 And, thanks to Jan Onipenco of Motlen Mayhem for her amazing lampwork bead! Design Team Members are all listed below with links to their blogs. Be sure to check them all out and see the amazing designs they've created this season! Peace, Love and Sailing Through Summer!! These colors are all so light and refreshing, each and everyones posts are so different and unique . . . Fantastic!!! It is beautiful, love your cord work and the colors, you have done a great job showcasing the beads. Loooooooooooooove! My favorite is the incorporation of various cords/strands. 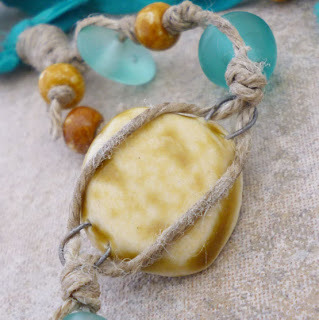 I just love the texture it brings to the necklace. I would steal this from you if you lived near me. Wow! 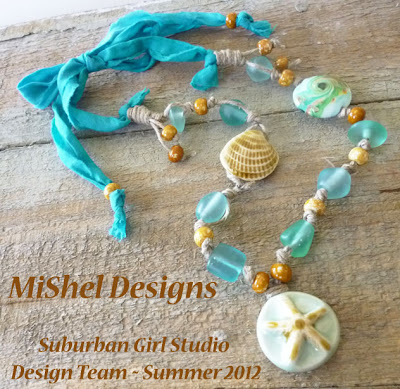 That necklace is so fun and beachy! Love it! Thanks everyone for the compliments - Diana and Jan's beads are super fun and beautiful to work with!! Beautiful! It should be worn on a caribbean vacation! Oh Shel! 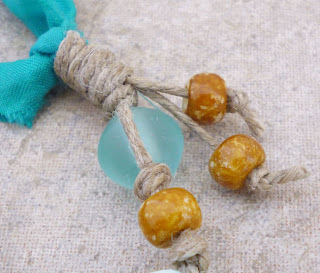 I love the texture of the rope, colors of your accents and yes even the ribbon! You rocked this gorgeous piece!!!!! Thanks MoonRae, and Lori. Lori - I'd love to wear it in the Caribbean!! Kristen - thanks a bunch!! What a wonderful beachy boho necklace, Shel. Love the color palette and addition of the sea glass. Just lovely. I can see why you are keeping it...I'd be wearing it everyday this summer! 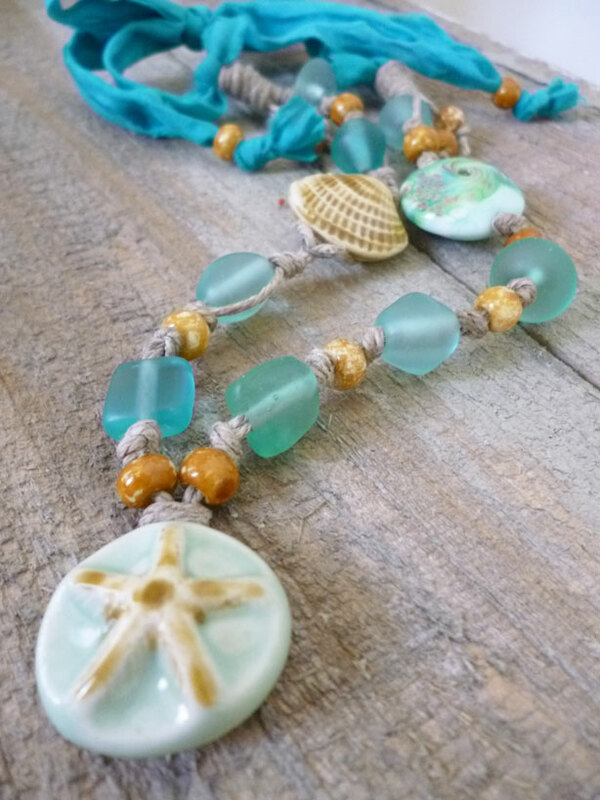 What a beautiful, beach-filled fun piece! it is gorgeous! and not a pearl in site ? (tehe) Love it! I know - no pearls - go figure! It is a bit odd for me!! I just love your necklace! I think it is the favorite one I've seen on the hop so far. I immediately saw that you were immitating sailors knots and I thought that was extremely clever. This is a necklace I'd wear all summer! Linda ~ Thank you so much!! 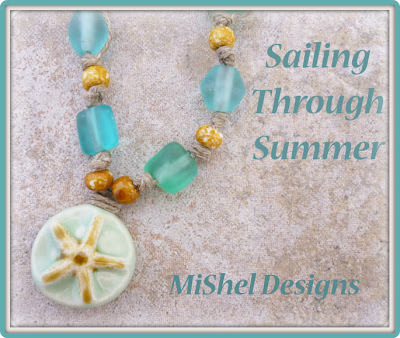 I love to sail and it's such a comfortable necklace - let me tell you! Thanks everyone for the wonderful compliments on my necklace - this made my day! !